After Emily - Description | W. W. Norton & Company Ltd. The untold story of the mother and daughter who opened the door to Emily Dickinson’s poetry. 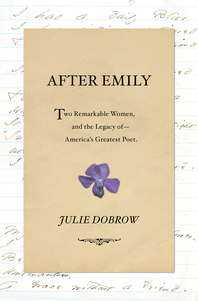 Emily Dickinson may be the most widely read American poet but the story behind her work’s publication in 1890 is barely known. After Emily recounts the extraordinary lives of Mabel Loomis Todd and her daughter, Millicent Todd Bingham and the powerful literary legacy they shared. Mabel’s complicated relationships with the Dickinsons—including her thirteen-year extramarital affair with Emily’s brother, Austin—roiled the small town of Amherst, Massachusetts. 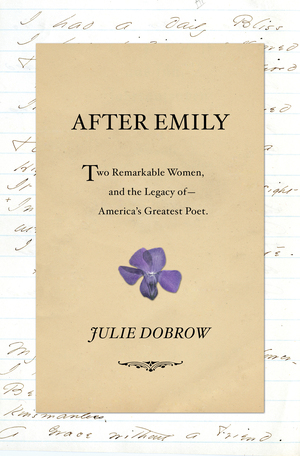 Julie Dobrow has unearthed hundreds of primary sources to tell this compelling story and reveal the surprising impact Mabel and Millicent had on the Emily Dickinson we know today.